This raised pet bed is a great idea for home use inside or outside. Easily assembled and disassembled, it has a strong lightweight black metal frame that enables easy construction. 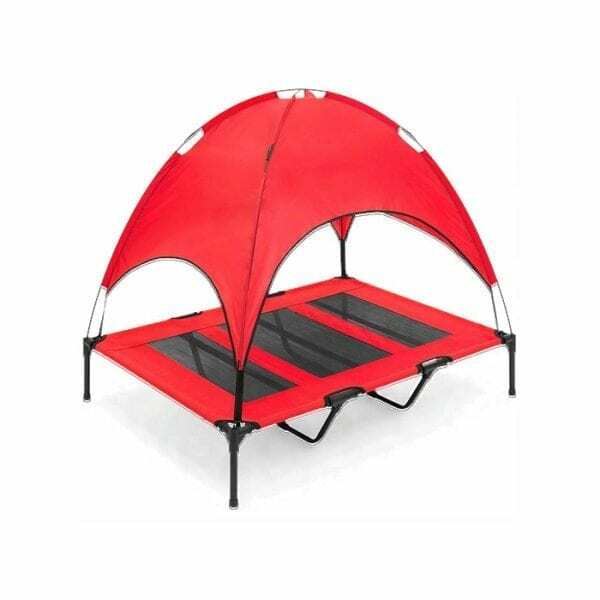 A great place for your pet to rest and sleep when you are out and about. Its cloth covering can be easily cleaned using soap and water for long-lasting use. Made from soft, waterproof and anti-slip materials, our raised bed will facilitate your dog’s needs. 600 denier oxford fabric is known for its durability and waterproof abilities.